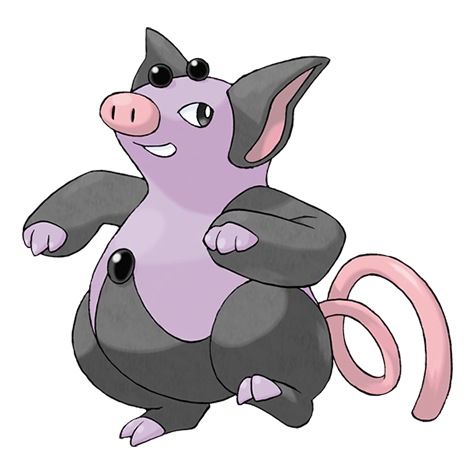 Grumpig is one of those Pokemon that is easy to overlook, not because it's bad, but simply because there's other much better options available. While at first glance, Grumpig appears to simply be a cartoon pig given psychic powers, there's a bit more to it's origins: there's a Biblical phrase from Matthew 7:6 that goes "...neither cast ye your pearls before swine, lest they trample them under their feet, and turn again and rend you". Here, the pearls were supposed to represent wisdom, and the swine they are given to represent an audience who would not appreciate the teachings. Here, Grumpig and its pre-evolution Spoink are the total inverse, as unlike the other swine, Spoink and Grumpig embrace the pearls and gain immense power because of it. It's very interesting, but there are other Psychic-types I'd rather use, not to mention I liked the adorable bouncy form of Spoink much more and I feel like Grumpig loses a bit too much of it for my liking. Not for me, but still a decent pig, and certainly a much better pig than Emboar. Yeah, it is a bit of a shame that grumpig has very little going for it. The design is nice and simple, and I've always liked them, but they've never been particularly special to me at all. I also prefer spoink. 6/10. Yeah I gotta agree on this one. It's pretty overlooked now. Just because there's so much better to offer. The design is pretty nice, but with all the other choices out there. This is just one that'll sit in the background and be left out. Spoink just overall sits better and is more so well-known. More-so thanks to PMD though. Helioptile is an adorable little frilled-necked lizard who kinda looks like a floppy-eared puppy when not attacking. It carries the unique Normal/Electric-type combo, which admittedly doesn't really do much for it in the way of battle, but it's very cool regardless. I do find it strange that neither Helioptile nor its evolution can learn Solarbeam despite their strong associations with the sun (even evolving with a Sun Stone). 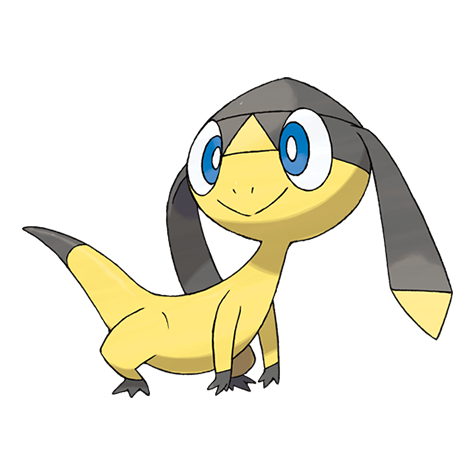 Helioptile is adorable, and I really like that Gen VI tried some new things with Normal, like pairing it with new types and even making it a secondary type as well. This helps the line stand out compared to a lot of its Normal-type contemporaries. I also really like that the design is simple, but still has a lot of character. Perhaps the big circle eyes are a bit too much, but nonetheless it's still a really cute design with a unique typing. Not learning Solar Beam aside, it's got a pretty decent movepool and can be a decent threat in battle, moreso as Heliolisk but still. Honestly, I'd put this line as one of my favourite Gen VI lines. Overall, I'll give Helioptile a 9/10. 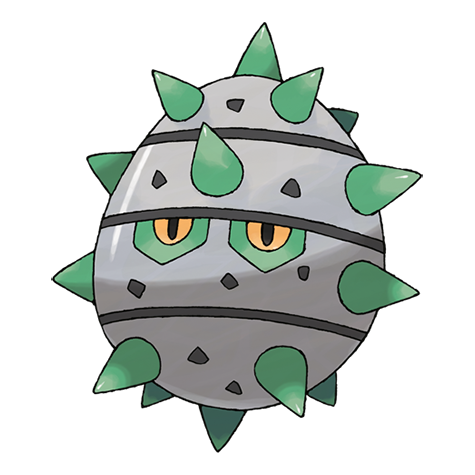 Despite having a very unique and powerful type combination, Ferroseed has never really stood out to me, probably because its design is a very simplistic spiny metal seed with eyes. That said, it's a powerful option for those who do pick it, especially since its evolution is one of the most powerful physical walls in the game. Some of its animations in the 3D games are also very funny, namely it getting stuck on the ground when sent out because it's just so darn heavy and has no limbs with which to land properly. It's also based on a durian, so it probably smells pretty bad. Pyukumuku is a pretty adorable take on sea cucumbers, which is impressive, seeing how they kept the real animal's ability to shoot their own innards as a defense mechanism. 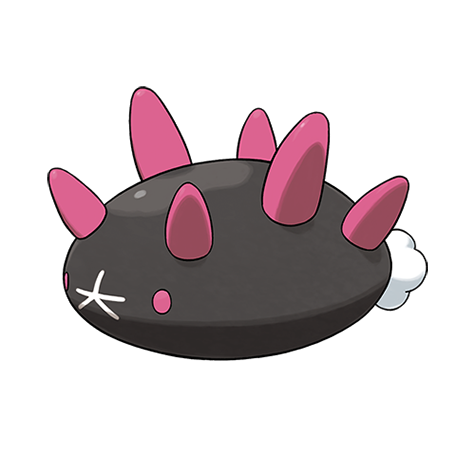 In any other creature this would be super gross and disturbing, but for Pyukumuku it only gives it more personality and charm. 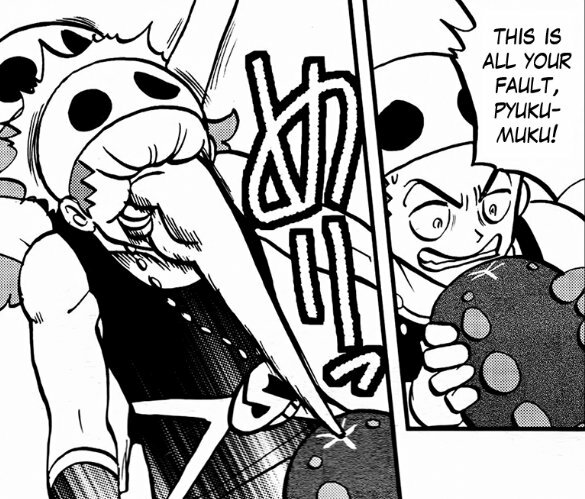 It does help that Pyukumuku's innards don't really look much like innards, instead looking more like a fist that can be used to straight up punch aggressors and has never not been hilarious (Exhibit A). Pyukumuku does have a rather big flaw however, and it's the fact that it can't use any offensive moves whatsoever aside from Bide and Counter, both of which require it to take a hit in order to work (and the latter NEEDS to be a physical hit on top of that), this unfortunately makes Pykumuku rather hard to use in in-game play, since Pokemon's story modes have typically always been skewed towards fast-paced offensive playstyles. It does pull its weight in online matches and battle facilities, though, so long as you can avoid Taunt. Overall, a good cucumber. It looks like a spiky slime kitty with a bunny tail.